Is your website secure? If you don’t use HTTPS, Google says it’s not – and starting this July, it will inform your audience of this fact. What difference does a single letter make? When it comes to HTTP versus HTTPS, the difference is security. When you go to a website, the web address (also called the URL) starts with a protocol. This will generally either be HTTP or HTTPS. You don’t have to type it into the browser to go to the website, but once you’re there, you’ll see the protocol at the beginning of the address. Just look at the top of your internet browser now for an example. HTTP stands for Hyper Text Transfer Protocol, while HTTPS stands for Hyper Text Transfer Protocol Secure. 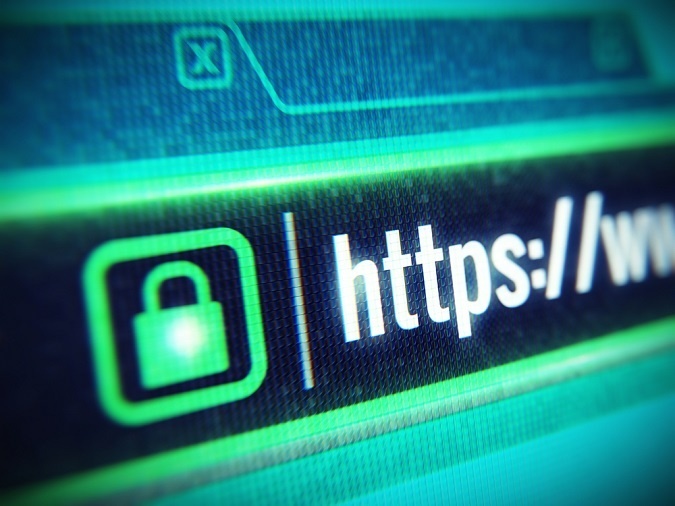 HTTPS uses encryption to protect the information being shared. It prevents hackers from stealing data. This is especially important when sending and receiving payments, but the extra security can improve all interactions. With all the data breaches making the news and the constant risk of identity theft, people want to be reassured that their privacy is being protected. Google is releasing an updated version of its Chrome browser called Chrome 68. The new browser is being released in July 2018. One important change included in the update impacts the way users see HTTP versus HTTPS sites. According to the Google Security Blog, this change is part of an ongoing effort to make the internet more secure by using HTTPS. More than two-thirds of Chrome traffic on Android and Windows are currently protected with HTTPS. Would You Risk Your Privacy with Sites Marked “Not Secure”? Imagine you’re searching the internet. You see a link that looks interesting, so you click. You’re immediately warned that the site is not secure. Do you stay on the site, or do you immediately click away? If you’re like a lot of people, there’s a good chance you’ll get scared and leave the site. Even if you stay on the site, you might think twice before leaving a comment, entering your information in a contact form or doing anything else that could compromise your privacy. If you have a website, you want to keep users on your site long enough to learn about your company and the services or products it offers. But if you’re using HTTP, you could be sending Chrome users running away from your site and to your competitor’s site. Chrome users are not a small subset of internet users, either. According to data from NetMarketShare, Chrome is now the most popular internet browser – by a long shot. Chrome has more than 60 percent of the browser market share on both desktop/laptop and mobile devices. In other words, if you’re still using HTTP after Chrome 68 rolls out, the majority of the users will receive the warning that your site isn’t secure. To transfer your site from HTTP to HTTPS, you need an SSL certificate installed on the server where your website is hosted. There is usually an annual cost, such as $59. Visit your website hosting company (such as GoDaddy, Network Solutions or HostGator) to learn more.